Success with parcel delivery fleets will prove to be “essential” to the success of electric vans. Success with parcel delivery fleets is going to be “essential” to the success of electric vans, says Arval. So says Simon Cook, LCV Leader at Arval, who explained that the current limitations of ECVs – covering range and weight of payload – do not really apply to parcel delivery fleets operating in urban environments. 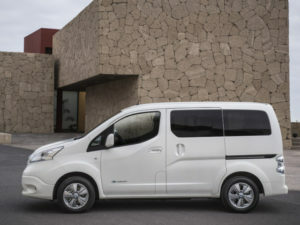 However, he said that it remained essential that the electric vans on offer continued to be developed intensively by manufacturers, especially when it came to hybrid technology. “The fact is that, even for parcel delivery fleets, range remains an issue. We need to be moving towards the 200-300 mile range that is now being seen with some cars. Cook added that Arval had some operational experience of ECVs in the long term – as covered in its recent guide to operating electric vehicles – and was confident in their longevity.